Lucy Wood View Condolences - THUNDER BAY, Ontario | Sargent and Son Ltd. The Memorial Candle Program has been designed to help offset the costs associated with the hosting this Tribute Website in perpetuity. Through the lighting of a memorial candle, your thoughtful gesture will be recorded in the Book of Memories and the proceeds will go directly towards helping ensure that the family and friends of Lucy Wood can continue to memorialize, re-visit, interact with each other and enhance this tribute for future generations. Condolence: Sorry to hear of Lucy's passing, she and Duncan were good friends and neighbors. Deepest sympathies to the family. Condolence: Deepest condolences. May all the special memories you've shared together help guide you through this difficult time. Condolence: I am so sorry to hear of your loss. Condolence: We have fond memories of wonderful visits with Aunt Lucy and Uncle Duncan. 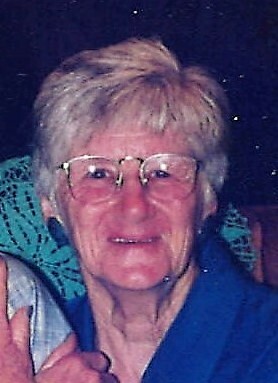 We are sad to hear of Aunt Lucy's passing and extend our sincere sympathy to all her family. Condolence: I am deeply sorry to hear of Lucy's passing. I enjoyed her company over the years. We shared many laughs and she was very special to me. Condolence: We are truly sorry to hear of the loss of your mother. We have many fond memories of Aunt Lucy and your family. She will always remain in our hearts. Condolence: We were so sorry to hear of Aunt Lucy's passing. Our thoughts and prayers are with the family at this time. Condolence: So sorry to hear of your mom's passing. Have thought about her over the last few years. Her and my mom (Hedy) will have a lot of catching up to do in the afterlife. Our deepest condolences to all of you in the loss of your mom ,sister and Aunt. Aunt Lucy will be missed.